Hellooo :) How are you? 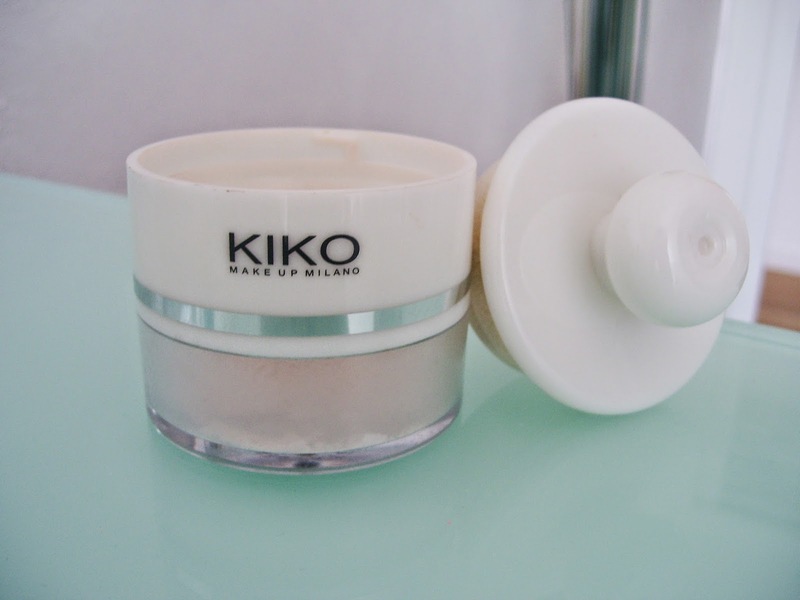 Today a review about KIKO invisible powder. Ciaoo :) Come state? Oggi review! Sulla cipria trasparente di KIKO. Matte effect, it makes the perfect complexion and removes the shiny effect. Fixed long makeup, great for use in the evenings where you do not want retouch constantly makeup. I usually do not use it every day, I use it in so-called "special occasions" and I apply it with my powder brush (here's the post about my brushes), mainly in the "T" zone of the face. Not using it every day, it takes me a lot! Opacizza il viso, rende l'incarnato perfetto ed elimina l'effetto lucido. Fissa a lungo il makeup, ottima da utilizzare nelle serate dove non volete ritoccare continuamente il trucco. Di solito non la uso tutti i giorni, la utilizzo nelle cosiddette "occasioni speciali" e la applico con il mio pennello da cipria (qui trovate il post riguardante i miei pennelli) principalmente sulla zona "T" del viso. Non utilizzandola tutti i giorni mi dura tantissimo! Great post! This product sounds lovely! I really want to try this as I have oily skin, love the puff that it comes with! It seems like a lovely product. I have a similar one from Dior and as you, I only use it on special occasions. Kisses!